Is Alder Biopharmaceuticals Inc (ALDR) A Good Stock To Buy? The worries about the election and the ongoing uncertainty about the path of interest-rate increases have been keeping investors on the sidelines. Of course, most hedge funds and other asset managers have been underperforming main stock market indices since the middle of 2015. Interestingly though, smaller-cap stocks registered their best performance relative to the large-capitalization stocks since the end of the June quarter, suggesting that this may be the best time to take a cue from their stock picks. In fact, the Russell 2000 Index gained more than 15% since the beginning of the third quarter, while the Standard and Poor’s 500 benchmark returned less than 6%. This article will lay out and discuss the hedge fund and institutional investor sentiment towards Alder Biopharmaceuticals Inc (NASDAQ:ALDR). Alder Biopharmaceuticals Inc (NASDAQ:ALDR) was in 26 hedge funds’ portfolios at the end of September. ALDR has seen an increase in hedge fund sentiment recently. 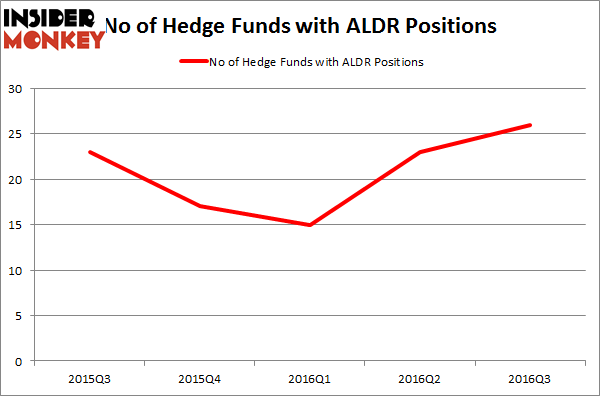 There were 23 hedge funds in our database with ALDR positions at the end of the previous quarter. At the end of this article we will also compare ALDR to other stocks including Steelcase Inc. (NYSE:SCS), Sabra Health Care REIT Inc (NASDAQ:SBRA), and Ophthotech Corp (NASDAQ:OPHT) to get a better sense of its popularity. How are hedge funds trading Alder Biopharmaceuticals Inc (NASDAQ:ALDR)? At the end of the third quarter, a total of 26 of the hedge funds tracked by Insider Monkey were long this stock, a 13% gain from the second quarter of 2016. On the other hand, there were a total of 17 hedge funds with a bullish position in ALDR at the beginning of this year, so hedge fund ownership is up dramatically in 2016. With the smart money’s sentiment swirling, there exists a few noteworthy hedge fund managers who were boosting their holdings substantially (or already accumulated large positions). 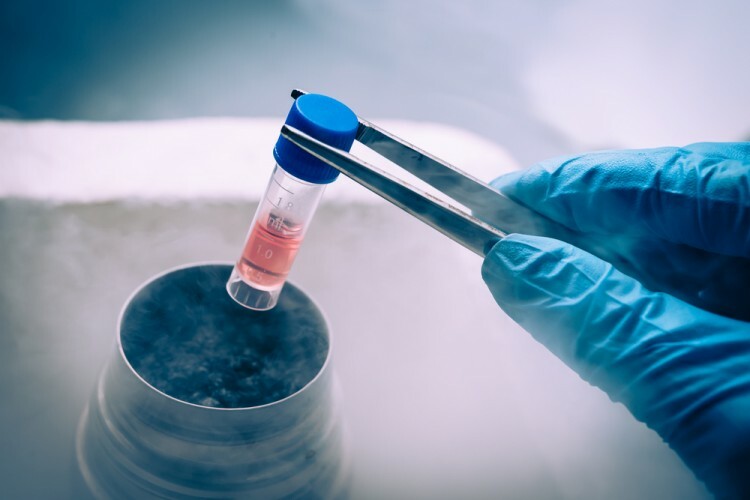 When looking at the institutional investors followed by Insider Monkey, Partner Fund Management, led by Christopher James, holds the largest position in Alder Biopharmaceuticals Inc (NASDAQ:ALDR). Partner Fund Management has a $65.8 million position in the stock, comprising 1.9% of its 13F portfolio. The second most bullish fund manager is Cormorant Asset Management, led by Bihua Chen, holding a $55.4 million position; the fund has 6.1% of its 13F portfolio invested in the stock. Other professional money managers that hold long positions encompass Doug Silverman and Alexander Klabin’s Senator Investment Group, Ken Griffin’s Citadel Investment Group, and Jeremy Green’s Redmile Group. We should note that none of these hedge funds are among our list of the 100 best performing hedge funds which is based on the performance of their 13F long positions in non-microcap stocks.